A small lot does not mean you need to sacrifice design. So many elements are incorporated into this small lot, including a swimming pool, custom fire pit, kitchen and bar, outdoor TVS, patio and lawn areas. Working within a confined lot does not mean you need to sacrifice design. Our designers needed to be creative and concise in order to fit a lot of elements into a small space. 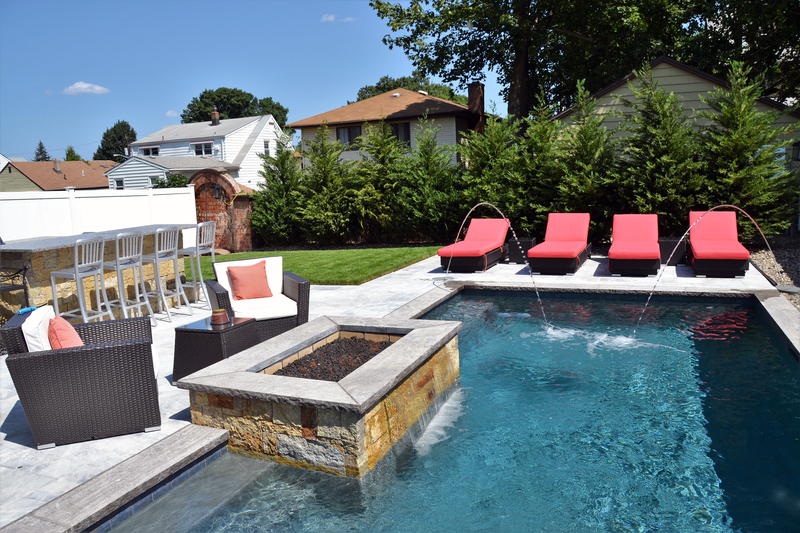 In order to incorporate a swimming pool, custom fire pit, kitchen and bar, patio and lawn areas, every inch of this design was carefully crafted. This new outdoor living space provides a brand new lifestyle and extension to the home.